Thought some of my friends would appreciate this picture. I saw a travel documentary snippet recently on Thailand, noting the saffron-robed monks begging for food, then ‘chowing down’ on a meat-and-rice lunch. It reminded me of some correspondence on the subject of Meat Eating & Buddhism. Check it out. “The Mantra-Rock Dance musical event took place on January 29, 1967, at the Avalon Ballroom in San Francisco and came to be dubbed as the “ultimate high” and the “major spiritual event” of the hippie era. It was organized by the early followers of the Hare Krishna movement as a promotional and fundraising effort for their first temple on the West Coast. One of them, Harvey W. Cohen, created the Stanley Mouse-inspired promotional poster (pictured). The Mantra-Rock Dance featured the Hare Krishna founder A. C. Bhaktivedanta Swami, the countercultural ideologues Allen Ginsberg and Timothy Leary, and leading rock groups the Grateful Dead, Moby Grape, and Janis Joplin with Big Brother and the Holding Company. Are you the type of vegetarian that has given up ‘red meat’ but still eats eggs? My three children, Nitai aged 14, Caitanya aged 25, Joelene aged 31. Joelene’s two sons Sebastian and Toby. My son Nitai with my grandsons Sebastian and Toby. The filling* was already made. All I had to do was thaw out the puff pastry, cut each sheet into nine, and place a spoon-full of filling on each square. Each square of pastry is folded into a triangle and sealed. The special fluted edges make them look nice. The raw curry puffs wait nervously on the brink of a hot wok of oil. Not the most photogenic batch of curry puffs, but I forgot to take a photo of fresh ones. These were the last remaining puffs from 90 good-looking specimens after the smoke had cleared at the end of a hectic day of family stuff. My reply: “Yes Natalie. 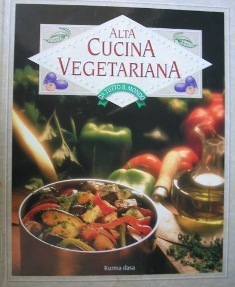 My first cookbook, ‘Great Vegetarian Dishes’, was translated and published in Italy in 1996, and entitled ‘Alta Cucina Vegetariana Da Tutto Il Mondo. My answer: Yes! 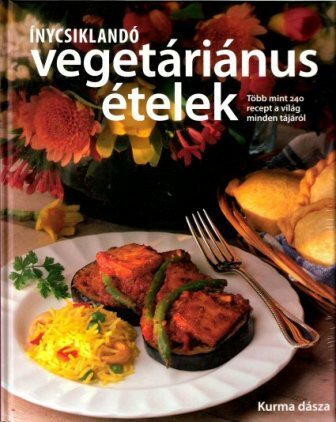 You may be interested to know that my original cookbook, ‘Great Vegetarian Dishes’, first published in 1990, is enjoying it’s 7th print run and almost three-quarters of a millionth copy. It has been translated into a few languages, including Italian and Farsi. UK’s Daily Mail, 19th January 2011. Hardly surprising really. I thought everyone knew that, but apparently not.